Martini QuickShot Creator for Post-Production visualization is now available as a plug-in for the Premiere Pro CC Macintosh editing system. 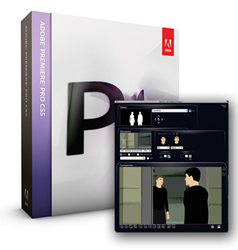 Previously available for Premiere Pro Windows, we’ve added the Mac due to overwhelming demand! Martini QuickShot is the revolutionary post-production application that brings the creativity of visualization into post-production editing. Consequently, rather than breaking the flow of your work in progress with white-text-on-a-black-background slugs describing the missing shots, we developed Martini QuickShot. 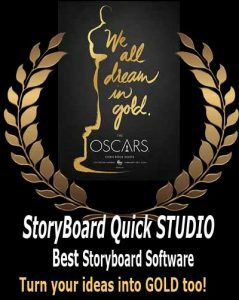 PowerProduction’s QuickShot Technology combines with the power of previs software, StoryBoard Quick and StoryBoard Artist storyboard software. As a result, editors can create shots instead of slugs for any missing footage. Additionally, Martini QuickShot comes with built-in artwork of characters, locations and props. Choose from pre-posed shots. Use the characters over your video footage. Therefore, slugs will better represent your plan for your missing shots. And editors can create sequences that better illustrate ideas for pickups. Therefore, by bringing visualization into post-production, editors and post creatives can develop missing shots using Martini QuickShot artwork. All this within the editing software. Martini lightens the load of editors and directors, and allows clients and crew to better visualize a work in progress project. Read more in our blog about Post-Vis and Pre-viz blurred lines.